For those who study the art of feng shui, your bed is the most important piece of furniture in your home. It is the root of supporting your personal energy levels where the body heals itself. As we spend approximately a third of our lives in bed, investing in the right mattress is paramount to getting proper rest. 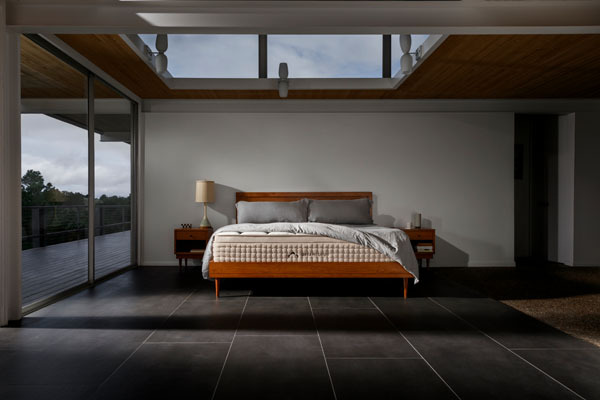 While clearly all mattresses are not the same, the best ‘mattress in a box’ to hit the market is the ultra premium Dreamcloud Mattress which is a hybrid that combines the supportive infrastructure of a traditional spring mattress with the comfort and support of a high density memory foam mattress. Transform your sleeping experience to that of a five star resort where you just want to linger on your heavenly bed. What sets the Dreamcloud mattress apart from its competitors is the 8 levels of support encapsulated in a 15” high mattress. From the moment you lay out your mattress you can feel luxury at the first touch as you glide your fingers over the hand tufted cashmere blend topper. The gel infused memory foam provides cooling heat distribution and support that cradles your body. Super soft quilted memory foam provides comfortable support that simulates lying on clouds. Natural latex is added to withstand the test of time and offer responsive cushioning bounce. Under that is the dream plush supporting memory foam that provides deep contouring support to adjust to your position throughout the night. The sixth layer is created from super dense soft memory foam that keeps your body in alignment no matter what position you sleep in while cradling your spine. Making it a hybrid mattress is the patented micro coil compression system that is divided into 5 distinct comfort zones to provide the precise level of support and isolate movement and minimize sleep disturbances. The foundation layer is created from high density super soft memory foam at the base layer to keep your spine in alignment and absorb any movement. Created by the manufacturers of the popular Nectar memory foam mattress, they are so certain that you will fall in love with your plush Dreamcloud mattress that buyers have a 365 day return period. While few things last forever, the Dreamcloud’s Everlong Warranty does in fact last forever and technically beyond a lifetime. The only caveat is that once you sleep on a Dreamcloud you will never want to go back to a traditional mattress again.